I find myself here again, asking for the help of the Planet community. I received a phone call a few minutes ago that shocked and appalled me. The mother of a dear friend of mine was attacked in her home today, here in North Carolina. She is now in Intensive Care at North Carolina Baptist Hospital in critical condition with skull fractures. Daily, we are barraged with the news of atrocities, some committed for political reasons, some for religious fanaticism, and some for petty differences. We shake our heads and wonder why the violence. But a situation like this defies all logic. There can be NO reason for such a heinous crime! If you, the members here, feel so inclined, please say a prayer for my good friend’s mom who is fighting for her life as I write this. I know in my heart that you people already pulled off one miracle over the Christmas holiday, and I ask you, once again, to send your positive energy to this devastated family. My most fervent wish is that I will never have to ask for your help again…that somehow, all violence will cease. Let us all vow to make it so. Addendum: My daughter, who found out about this situation, called me and asked me to “please get on the Planet and blog about this”. She knows, as well as I do, the collective power of this community! When good people are bent on good purposes, nothing in the world can stop us! Emerald, I just couldn’t let another day go by without telling you that your friend and her mother have been in my thoughts and in my prayers. Preying on the elderly has been on the increase here in Japan too. Usually it’s through scams, but recently there have been horrific murders, the house the set on fire to cover their tracks. It is such a cowardly, despicable thing to even contemplate and I believe there is a “special” place for these inhuman humans. I worry about my 87 year old father, made him install security, know that he is surrounded by good and caring neighbours but still feel uneasy at times. I will keep you all in my thoughts and hope that another miracle occurs. Hi Kalima! I’ve missed you! Glad that you are back! Thank you so much for your kindness. My friend is devastated and bewildered over this. There is still no motive known yet. The entire responsibility for her mother’s care decisions is on her shoulders and she is really having a hard time, trying to make the “right” decisions. She asked me today about the possibility of “pulling the plug” and it broke my heart for her. I have seen families in ICU having to make these decisions, and there is no way that one is ever emotionally prepared to make them. I told her to hang on a bit longer. I also told her that I believe in miracles, having witnessed one with my sister’s illness over the Christmas holiday. There is no reason for her to put pressure on herself to make that kind of decision now. There is time, and she should not be pressured to do that. I do believe she was uplifted by the words of comfort from all the Planet community. She really was astounded when I told her of members from all over the world who were concerned and praying for her mom. I’m glad your father has a security system. It’s getting to the point that we ALL need them for our own protection. Bless you and all the other members who have shown such kindness and compassion. I know it is doing some good. What an extraordinary community this is! UPDATE: I just spoke with my good friend and her mother continues to hang on. However, the doctors are not hopeful. I learned that she has skull fractures up from the base of her skull on the back of her head, and some facial fractures around her eyes but no other trauma except some bruising. They are inserting a probe to monitor the intra-cranial pressure from the swelling of the brain tissue. Now, for the amazing part! The police believe they have the man who did this…a man who rented a room at the lady’s house…sort of a domestic violence case. The man has told several lies and the police believe that he did this. They have not said if they have found a weapon. Nevertheless, this continues to stun me…just the fact that anyone would do such a horrible thing, someone that she knew and trusted. I told my friend about the Planet and the support and prayers sent by all of you. She asked me to thank you all. She cried as I read her your wonderful responses and insists that there are many more good people than bad in this world. And from what I can tell, the good ones are concentrated on PlanetPOV! This is simply heartbreaking. I don’t know what else to say but I obviously wish your friend the best. Thanks, KQ! I had a long conversation with my friend last night and plan to call her tonight for an update. They were not hopeful when I talked to her. My friend said that even if she can survive the skull fractures, they expect that she could be permanently brain damaged. I just can get my head around this kind of violence. I was thinking of that when I read Abby’s article today about guns. Although this was not gun violence, it is still symptomatic of the inhumanity and cruelty that we see in the papers every single day. Oh Emerald, I am so, so sorry. Did I read earlier they caught the creep and, if so, what’s going on with him? Once again I fell asleep over the keyboard, this time wondering if we will ever find an answer to Emerald’s question: why the senseless violence? Wide awake again, I am no closer to answering it than I was before. I look at it this way… and it is so abstract it looks like a cop out. Human beings have either lost something they’ve always had and can’t find it again… and it isn’t something human beings simply want, it is something they need in order to function as thoughtful, civilized creatures…or else human beings have acquired something they never had before, and it not only isn’t something they need but it’s something they should never have, the human psyche just can’t handle it. I know this looks like I am setting up a false choice with an exclusive ‘or’, as in: it’s either this or that, it can’t be any third thing. (Oversimplification is a good way to get yourself out of a pickle.) But I’m not trying to do that. There’d be no point in setting you up like that unless I had a pat answer coming in at the end, with the above being my of steering you toward it. And I don’t. My point is this: it isn’t always true that when things start breaking down like this, something is missing . That we have lost something essential. It could just as easily be the case that something has been added…something that is incompatible with the thing that makes us thoughtful, civilized creatures. Something so new and fresh and accomodating that we are just plain drunk on it. Maybe if we stop asking what is missing and, just for the sake of exploring other possibilities, start asking what has been added, we might get a bit farther with this. I wonder if that “incompatible” something is human greed! Food for thought! That seems to be a thread that runs through so many stories like this…robbery and theft. The horrible beatings and killings are just a side effect, or an attempt to cover up the original crime by eliminating the only witness to it. All I can think of right now is the hope that the police will be able to find whoever did this horrible thing. I will surely keep you posted when I have more information. To me it isn’t human greed, because human greed has always been around. To me it is something (just in theory, mind you) that not only hasn’t always been around, it has never been around. Until now. Or it has been but has taken an entirely new and different form. That’s why I said of it that it is new and fresh…and accomodating. (I insert a little humor with that last but not because I take lightly what happened to your friend’s Mom). More seriously, we say things like ‘Something is missing’ as an expression, of course; however, we use that expression because we really believe it… really believe that something is missing. That’s the assumption. But an assumption that doesn’t get you anywhere is like driving down a motorway and never getting to your destination. Do you just keep going, or do you pull over and look at the map again to make sure you are going in the right direction? My thoughts and prayers go out along with everyone else. I would only remark, that while I may be younger, my readings of world history tell me that such things are not a remarkably new phenomenon (Dostoevsky, anyone?). Rather, they are likely talked about more openly and disseminated through ratings-based media, thus possibly affecting a greater incidence rate -- but, human behavior has always had such depths, unfortunately (even if there may have been a day when people could leave their doors unlocked, incomprehensible to me as that is, admittedly) -- and it is for us as human beings to evolve that we must also pray. I send both these generic and specific vibrations to your loved one, and humanity as a whole. Thank you, Khirad! Your posts are always spot-on! But I will tell you that when I was a child, we never locked our house. We also went shopping and left the keys in the unlocked car on the street with never a problem. How times have changed! I will certainly pass on your good vibes to everyone in this lady’s family! Thank you so very much for your caring! How terrible. My mum is 79 and in frail health. I can’t imagine what I would be going through if something like this happened to her. Thank you, my skunky friend! You and the rest of the beautiful PlanetPeople are a light in the darkness! 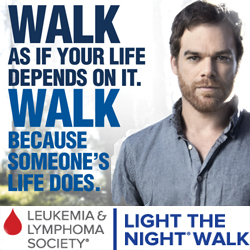 I lost my mom to leukemia a few years ago and I, like you, could not imagine her going through something so terrible. My friend, Ann, whose mother was attacked, was a good friend to my mom also. Just really good salt-of-the-earth people! Why does it seem that things like this happen to really good people? I don’t understand. Oh, Em…I’m so sad to see this disturbing news after my work day has ended and I log on to the Planet to catch up. Of course prayers will go forth for this poor lady and her family. As you say, injuries this serious, for an 85 year old, are incredibly daunting. Are there any suspects at all? Do the police have any thoughts on what happened and why? The poor family members! What they must be going through! Please, all, if you will, also hold in your thoughts an 85 year old patient I cared for tonight, as well as his wife. He is a WWII vet who regaled me with stories of his work as a radio operator/navigator who guided pilots through the darkness on their way to their European destinations. Very sharp and clear minded, he is a fabulous story teller and a true “mensch.” He is distraught, though, because his wife is in another hospital (in our town also). They both have pneumonia. He also just had surgery for a fractured hip about two weeks ago and she is having renal problems, so there are plenty of complicating issues as well. They’ve been married 65 years, he tells me. He’s a very stoical man, but you can see in his eyes what he’s feeling. Without getting sentimental, I think we can safely say that this generation has been through some amazingly difficult times (this includes your friend’s mom, of course, Em) throughout their lives. They deserve to have some peace and comfort in their final years. Hey Kes, I just thought about something. If your patient was a radio/navigator in WWII, he may have well guided my dad’s plane as he flew missions over Germany. My dad was with the 8th Air Corps stationed in England and flew a B-17, something I expect your patient will know a lot about. Give him my best! YES!! Em, he did say he guided B-17s! Isn’t that amazing. He may well have guided your dad. He said he was just a kid at the time--maybe 20--and he couldn’t believe he was given all that responsibility! Amazing, they way we all as humans connect! Good night once more, Em. That is amazing! But my dad was only 18 at the time and was a tail-gunner which I imagine carried a lot of weighty responsibility too. It’s a wonder than any of them came home alive, considering the strength of the German Air Force during that time. Good night, Kes! Sleep well! Hi Kes! I hope you had a good day! Thanks for the story about your patient. Is there no way that he and his wife cannot be at least in the same hospital? I once had a husband and wife who had been in a traffic accident and they were together in the same room. It worked out great for them as well as their family. I think it actually facilitated their recovery as they didn’t have to lay there worrying about the other’s well-being. Of course, I will send good thoughts his way, and also for his wife! It’s the least I can do for all the good that you and the Planet community have done for me. I have no qualms about being sentimental! Sometimes I think we forget to put ourselves in others’ shoes to feel what they are feeling. Maybe a little more of that would make the world a better place! Glad to see you here, my friend! I should apologize first for sort of “piggy backing” my patient’s story onto your very poignant article. I didn’t mean to hi-jack the message you were trying to get out! But in a way, the stories seem related, too. Now--even though I just arrived, I must take my leave once more! It’s almost 2 a.m. and I’m scheduled to work again tomorrow….or rather, later today!! Good night, Em and all my other Planet Friends! No problem at all, Kes! The stories are related! I did not take your comment that way at all! I knew where you were coming from! Oh Em I am so sorry to hear this. Please know I will be praying and thinking about her. Why Why Why? I can only surmise that some people in this world are just without any humanity. I hope they catch the creeps who did this and make an example of them. Please tell your friend there are people out here who really do care. Thanks, Sue! I wondered where you were tonight. I’m sorry that I haven’t done much reading with these terrible events. I will resume tomorrow morning. I just don’t understand senseless violence. This thug (or thugs) could have scared her and taken whatever they wanted. There was never any reason to beat her within an inch of her life! I just can’t wrap my head around this! I don’t think the family has much hope. Older people don’t do well with fractured skulls. The next 72 hours will be critical and her survival will depend on the amount of swelling and/or bleeding in the brain tissue itself, which can be extensive in these cases. I used to work in Neurological ICU and have seen similar cases. I am sure she sustained other traumatic injuries, but I don’t have information at this point. This can complicate her situation. Not being a family member, it is hard for me to get reports from the hospital, but I will try to update as information is available. Thanks so much for your kind thoughts. I knew I could count on the Planet community to rally to her cause! Emerald, so sorry to hear of this horrific attack, I am indeed sending all my best thoughts to your friend’s mom. My mother is nearly that age, imagining this happening to her makes me nearly blind with fury. Drugs and/or gangs are often at the root of this kind of senselessly violent crime but not exclusively. We have sociopathic greed as the corporate role model for society, it’s mirrored everywhere you turn, even in the so-called “humorous” commercials corporations put on, people selfishly knocking others aside or dissing others to take what they want. The media we’re surrounded by is presenting selfishness as what’s expected of us, is it a surprise there is so much violence and hatred generated by narrow-minded selfishness? This is a systemic problem, we do have to come together and grow as a community, as we have begun here, to affirm principles and respect as a necessary requirement of a decent and civil society. We need to stand up against this corporate-esque, self-justifying mantra of selfishness that is decaying our society. Again, wishing all the best to your friend’s mom, please let her know of the many concerned and decent people here who are thinking of both of them. Thank you, Adlib! That was exactly the response I was hoping for. Many will say that I have an over-active imagination, but I swear that the support I received during my sister’s near death last week, WAS palpable to me. I know well where it came from…it was from the family at the Planet. Tonight while agonizing over the plight of my friend’s mother, I felt that peace once again. And I know again from whence it comes! I had related the story to my daughter last week and told her of the wonderful people and their good wishes that had bolstered my spirits. When she heard of this horror, she called me and literally begged me to log onto the Planet to let people know what happened. I assured her that I would. Our system is broken and if we don’t fix it, then who? One place where I believe it would be good to start is to demand that the courts no longer recognize corporations as “persons”. I believe that this error that was made long ago is at the root of almost all our problems with government now, including the bribery of our lawmakers. It may be too late to fix it, but we have to try. Again, my thanks to you and all the Planet community for all the goodness you have sent to me and to those I care about! Emerald, thank you for using the Planet in this way. It gives us another way to share our humanity. She is in my prayers, as are you and your sister. Bless you, WTS, for all your kindness! I hope that no one resents my putting personal matters up, but I believe that “the bell tolls for you”. We are all on this planet for one purpose, our spiritual development…not religious…but spiritual. How else do we develop our sense of compassion for others if we are not aware? These are very deep and personal matters for each of us. Why should we not share with others who we know will give comfort, support and yes, even love, when it’s so badly needed, even by a stranger? This is a basic tenet in all religions and faiths. We ARE all our brothers’ keepers. You and the rest of the Planet community have “kept” me through the nightmare of my sister’s illness, and thankfully, she is recovering! Now, I ask that we turn our energies to another stranger in need of a miracle. It can only help! Emerald: yours is a sad post but the content is not unfamiliar to me. Over here in the UK we have lots of pensioner attacks…attacks on elderly, retired people… and they are increasing. Equally, though, we have attacks on just about every age group. Gangs of youths roam the streets of London (and elsewhere), drunk as little skunks. They vomit in the streets, urinate on parked cars, break windows. Last month a gang of youths put a firework through the letterbox of a home of a young single mother; the house caught on fire and both she and her little boy died. If the owner of a property being vandalized goes out to stop these outrages upon his personal and private property, he or she is likely to be beaten to a pulp and very possibly to death. The newspapers are peppered with stories of incidents like these, they happen every day. Three months ago a gang of youths beat a father of 3 little boys to death, in front of his house, all because he didn’t have a cigarette for them when they demanded one. Like you, I don’t know what explains crimes on the elderly. Unless it’s the fact that the gov’t has so coddled youths that the youths no longer fear anyone older than they are. When it comes to youth crime, over here, anyway, I think what partly explains it, is this: the gov’t has virtually taken all authority away from parents. You cannot lift a finger against your child; if you even shove a rebellious teenager around and he gets a bruise, he can report you for parental abuse. Not that I am for child beatings. But when you broadcast to the entire country thropugh a megaphone that your own child is off-limits, that child will lose all sense of authority. And respect. And fear. And responsibility too. After telling parents their own kids are off-limits, the gov’t saw to it that parents can be prosecuted if their child doesn’t show up at school, if it becomes habitual. How can you control your own kids if the gov’t won’t let you, and then be punished, even jailed, for not doing so? Sometimes I think the compass of the UK has been broken, and, metaphorically speaking, people are just wandering aimlessly about, in some cases virtual hostages to their own children, not knowing which direction to take, to fix it…while the gov’t goes on legislating contradictions, like the one I just mentioned, above. Thanks, abby! I am surprised to hear of this from across the pond! That is terrible! I’m afraid I have to agree with you about the out-of-control kids. We have far too many of them here in the States. Parents are afraid of their own teenagers in lots of cases. I still have to ask the question…where is all this hatred coming from? Have we all lost our bearings? Are we being so de-sensitized by violence in our media that we no longer value the lives of others? Or is the media simply mirroring the ills of society? This is another one of those “chicken and egg” problems…which came first? Not that I blame all of it on violent media, but kids sitting around playing “Grand Theft Auto” all day certainly is not a good thing! Absolutely unreal. I have stopped trying to understand the evils of this world and have diverted my attention to avoiding being a victim myself. Here in the town I live in,…it has become a weekly occurrence for your house to be shot into multiple times in the middle of the night. And I live in PODUNK! I will be thinking positive thoughts for the woman. It is unreal, TRP! I was raised in a completely non-violent environment and taught that violence never solves any problem. So I became a rabid war protester in the 60’s. When working as a nurse in a large metropolitan ER, I first became aware of “man’s inhumanity to man” and was shocked to see it first-hand. Is it the guns? The drugs? The lack of economic opportunity? Or does it run deeper to a lack of morals and ethics? Where is all this violence coming from? I have many more questions than I do answers. Addendum: Please keep your head down there, Patriot! Podunk sounds like a wild place! Sending healing wishes, good thoughts and prayers you way, Em. the other morning and a man came up and attacked her and her dog. dog and beat the poor thing to death. She feels that her dog gave her life for her. get the economy on the mend and health care fixed, the better. on with taking care of this country. There are sick people out there. Sad. Thanks, Patsy! What an awful thing! I honestly think I would kill somebody who hurt one of my beloved doggies! They are like my children. I am so sorry for the lady and the loss of her dog. I’m glad she survived the attack. I think you make some good points here about the economy and the rise in crime. But I believe that there is something deeper to all this, an undertow of meanness and hatred, that I cannot understand. This horrible violence against the defenseless is intolerable! I don’t know what else to do but write about it…frustrating at best! What a horrible thing. I’m so sorry to hear this. My thoughts of support are with you and her. I completely empathize. I was attacked and injured by a huge burley 6′ intruder, while I was home alone at the age of 23; it was very traumatic. Horrible. I cannot imagine it for someone, who is probably so frail. I don’t understand it. I never will. Thank you, Tanzanite! I remember you from that “other site”! I appreciate your kind words. All we can do is put our collective energy into the situation and hope for the best. Thanks to you all, on behalf of my friend, for the beautiful sentiments and good thoughts! That good energy is unstoppable! I DO believe that it can make a difference!